Usually, this is where we'd tell you what this book is about. But with Chris Cleave, it's a bit different. Because if you've read THE OTHER HAND or INCENDIARY, you'll know that what his books are about is only part of the story - what really matters is how they make you feel. GOLD is about the limits of human endurance, both physical and emotional. It will make you cry. GOLD is about what drives us to succeed - and what we choose to sacrifice for success. It will make you feel glad to be alive. GOLD is about the struggles we all face every day; the conflict between winning on others' terms, and triumphing on your own. It will make you count your blessings. 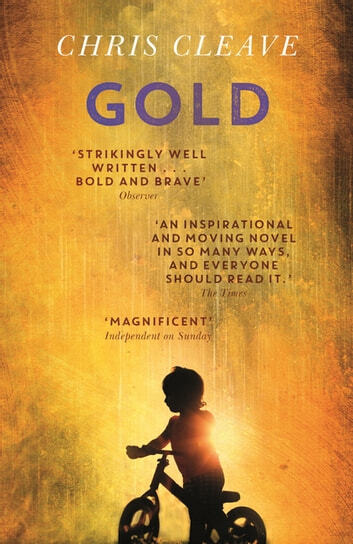 GOLD is a story told as only Chris Cleave could tell it. And once you begin, it will be a heart-pounding race to the finish. Brilliant from the first page. I didn't want to stop reading but there were times I just had to put the book away as I feared what was on the next page. Loved the plot and the characters. Can't wait to read another of his books now. Hilghtly recommended !!! I couldn't put it down !!! Moving seamlessly between the psyches of the main protagonists, this novel keeps you wondering right to the end. You won't be able to put it down.